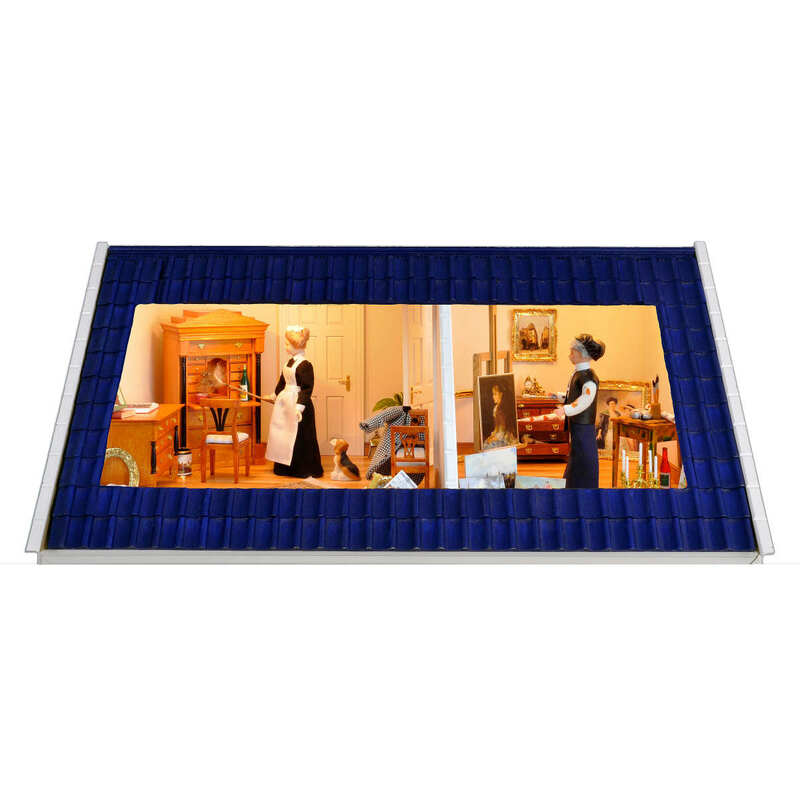 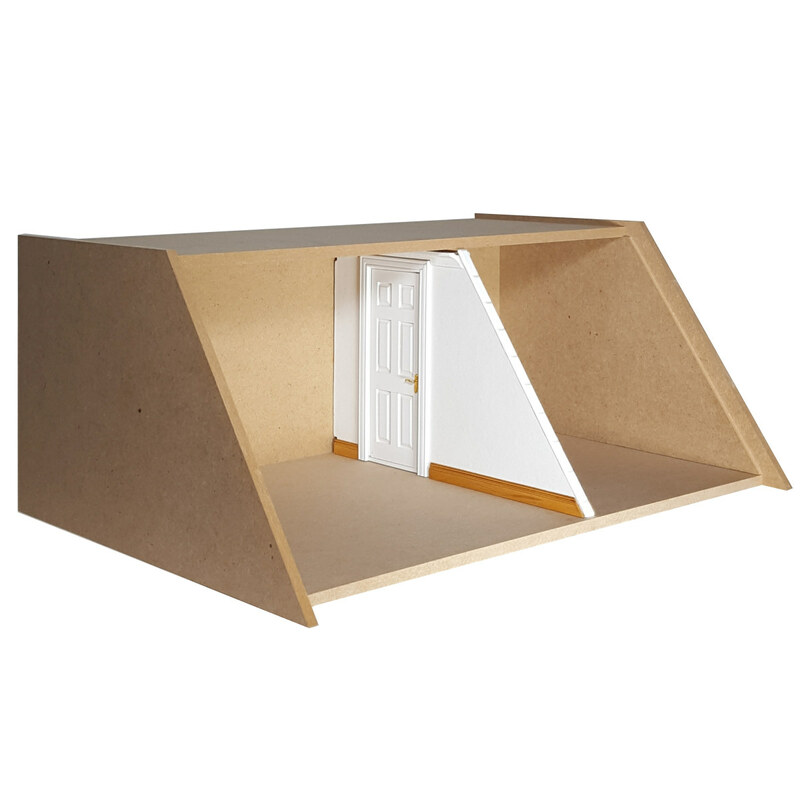 MDF construction kit for a MODULE BOX HOUSE with two floors, including front glass panels, and a Top floor with studio window, a partion wall which can be moved freely in the room and 150 roof tiles. 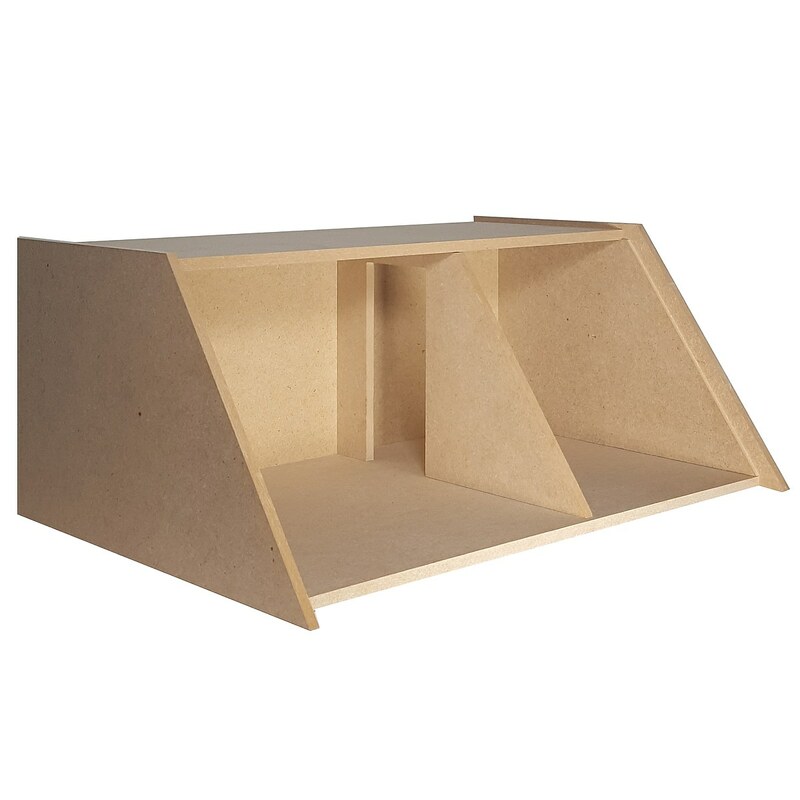 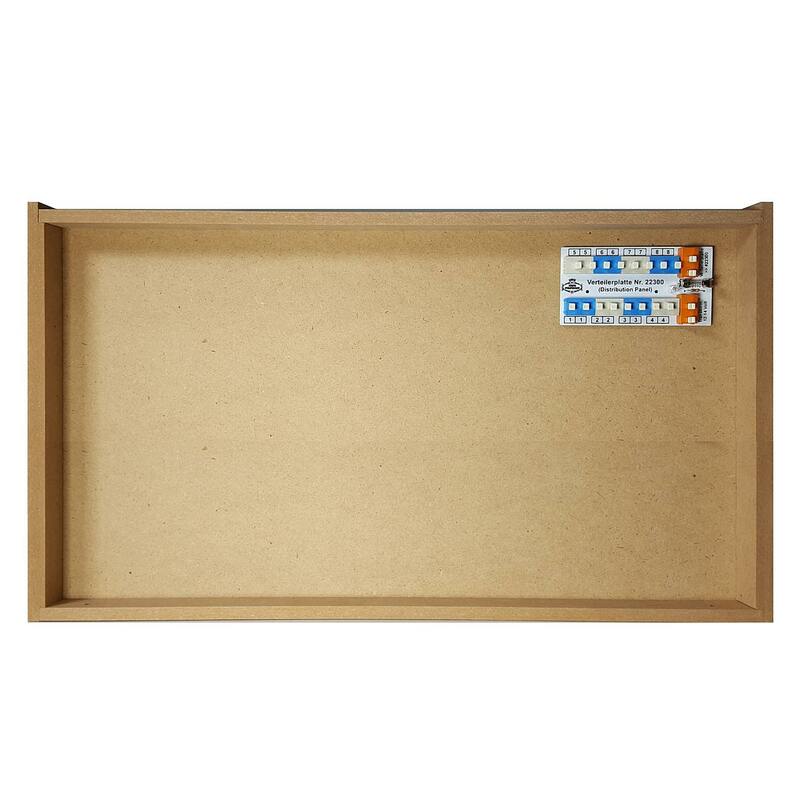 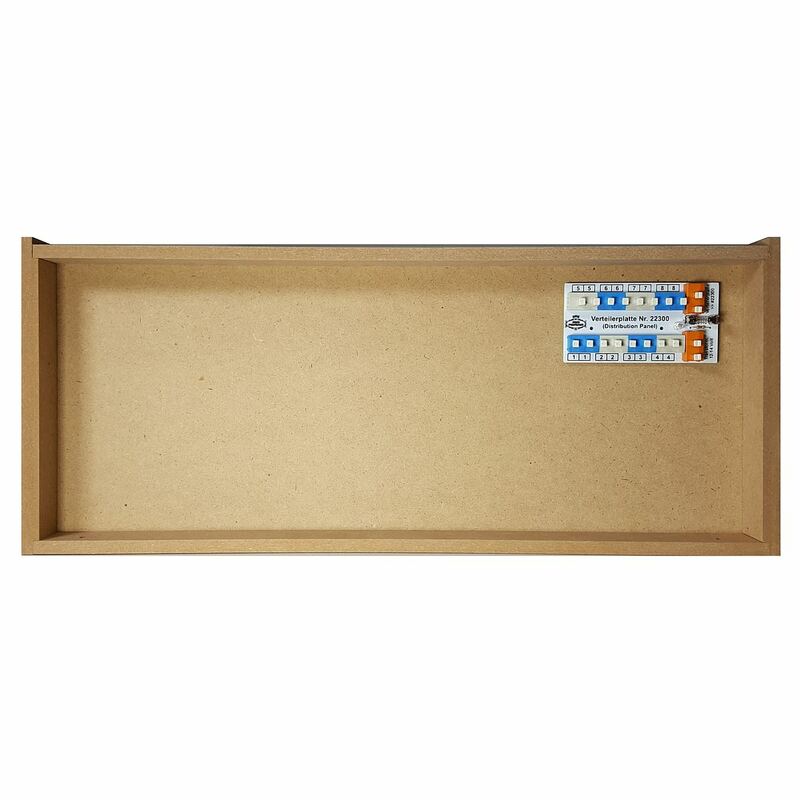 2 x 90100 - Module-Box with frontglass panel (MDF construction kit). 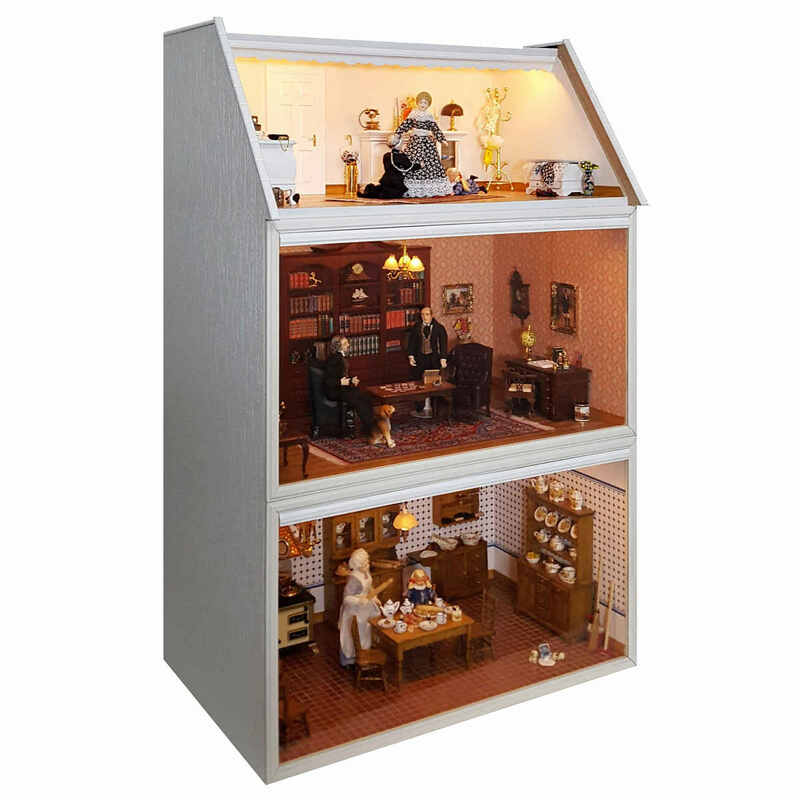 1 x 90140 - Top floor (MDF construction kit) with studio window and roof tiles. 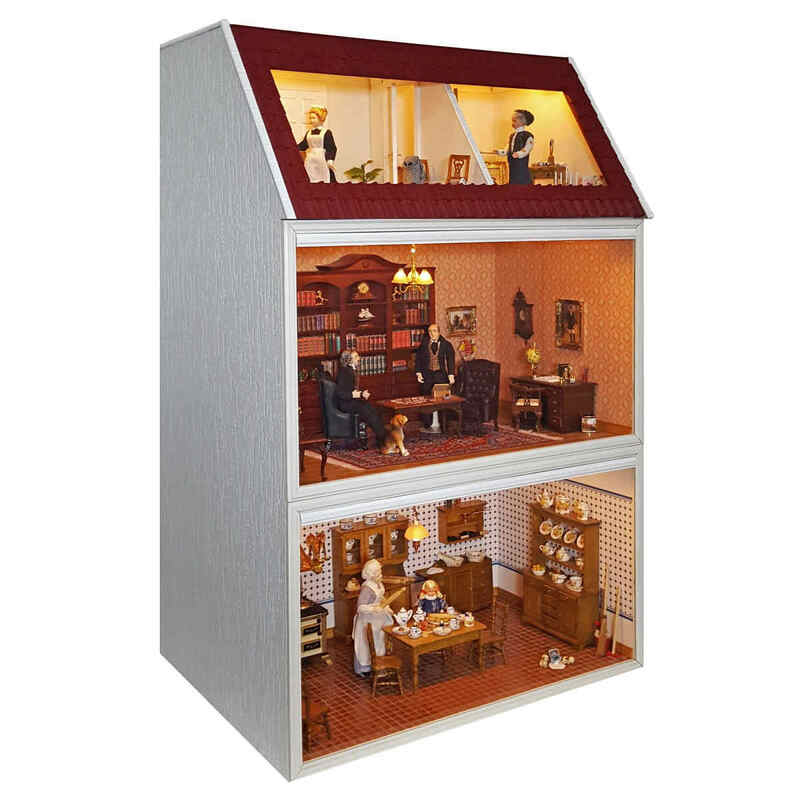 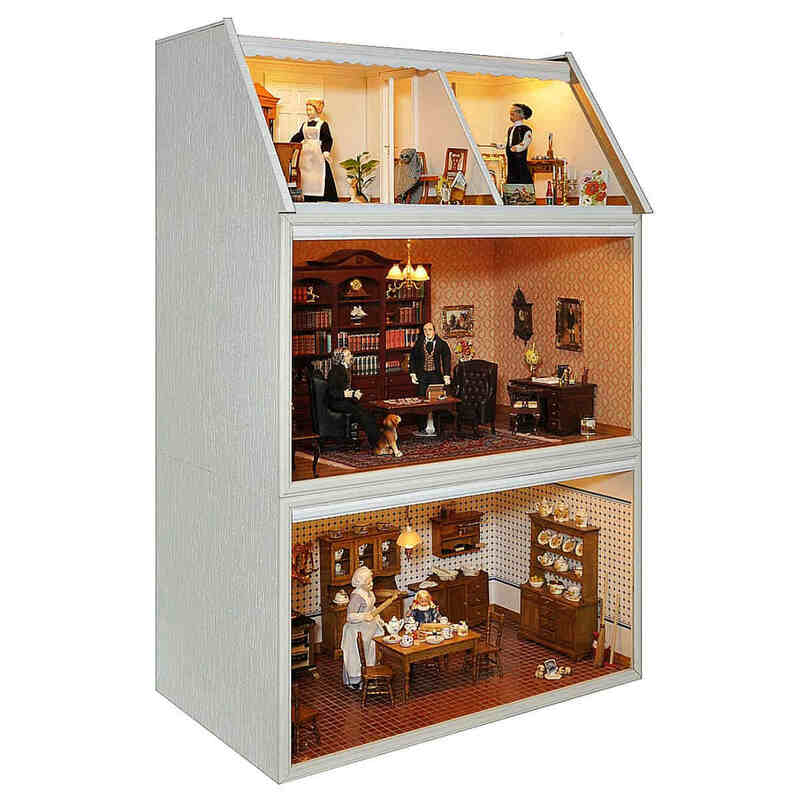 The pictured interiors, lamps, dolls, windows (50471), curtains (50960) and doors (60070, 60071, 60311) are not included in the supply.